Tiny whelpling pets have been the best known source for gold since wow was launched. They have made many players rich, but even more have lost their minds farming them. Cataclysm brought a lot of changes in the way these whelps are obtained. Are you feeling lucky today? There's dragon whelps to slay! By farming here, you can obtain 3 different pets from a single monster! This is one of those pets that drop from a single monster only, the Tiny Emerald Whelpling. It's a low drop rate of 0.09% from Noxious Whelps in Feralas, so prepare for a long grind if lady luck is not favoring you today. They spawn in the northern part of the map. See the picture for exact location. I've personally seen it drop three times. Two of them even dropped in the same short farming session. Like all rare pets, these too sell unbelievably fast when there's no competition. 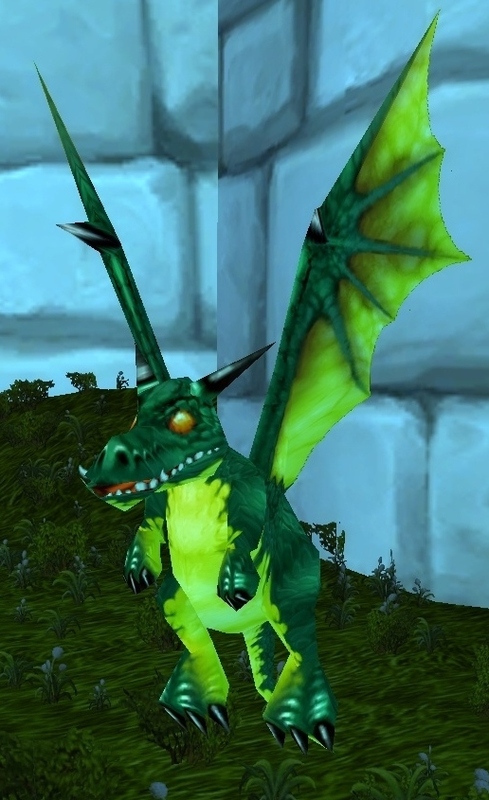 A single Tiny Emerald Whelp may sell for even 15k gold, although it's average price is 5k gold due to people undercutting and not having patience. 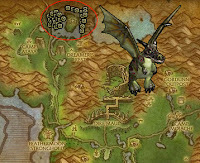 Not only do you have a chance of obtaining Tiny Emerald Whelpling, there's also chance of a Sprite Darter Egg dropping. Although this pet is BOP, it's still cool and also rare! I will create a post of it's own for this pet at some point, but OOX-22/FE Distress Beacon will also drop while farming this. If you collect all of the distress beacons, you will receive a Mechanical Chicken, which in some cases sell for even more than the Whelpling you are farming.. Madness!